air joe is proud to serve the Bensenville community! We are proud to be a part of this community, serving your heating and air conditioning needs: air joe is listed in many directories under titles such as : Bensenville Heating Contractors, Bensenville Heating, Bensenville Air Conditioning, Heating Repair, Air Conditioning Repair, Bensenville Heating and Cooling Contractors, Rooftop HVAC Repair, Ductless AC Systems, Boiler Repair and Bensenville Heating and Air Conditioning Contractors. We are here for you whether you need furnace or air conditioner repairs, heating and cooling estimates, equipment replacement or new installation of a furnace, air conditioner, heat pump, rooftop heating and cooling or comfort products to improve the air filtration for your home or business. 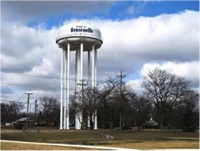 About Bensenville, IL - Happy to be your hometown Heating & Air Conditioning Contractor! Bensenville, IL is a lovely suburb of Chicago which is, quite literally, on the edge of the big city. As a matter of fact, part of the town houses a section of O’Hare Airport and technically belongs to the city of Chicago. Just as it shares an airport with the big city, it also shares its windy conditions and seasonal weather changes. With warm summers and cold winters, this is an ideal place for the type of person who enjoys watching the seasons change each year. The town has quite a few attractions and things to do no matter in which season you choose to visit. The Edge Ice Arena is a great place to check out hockey, figure skating and other ice events. They also have skating and hockey lessons at the arena. In the summer or winter you and your family can enjoy a swim at the indoor aquatic club called The Water’s Edge. In the summer, the town even has an outdoor water park which has slides, pools and more. There is truly no more family-friendly town in the area. There is also a bit of crime history in this relatively quiet town. If you have ever seen “Casino” with Joe Pesci then you may recall that the Spilotro brothers were executed in a basement in Bensenville. The film portrays the corruption at the Stardust Hotel in Las Vegas and is a widely accepted modern classic. This small claim to “fame” has very little to do with the Bensenville that you will see if you were to visit. In the summers, you will see children riding bikes and playing ball in their yards and in the winters you will find streets lined with snowmen and lit with colorful lights. This is definitely a very idyllic middle class American town.